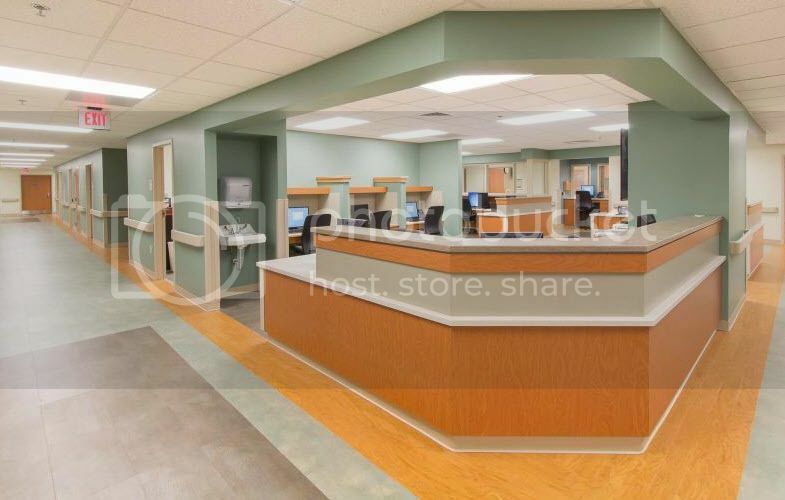 Here are a pic of the nursing station from Chambersburg Hospital during construction. Things may have changed! Tested 1st time and passed December 2015. This test is hard and you will be nervous, but you can get through this! Take your time and prepare...practice your assessments, mnemonics/grid, pcs scenarios, and care plans. I had 2 repeats, both were in planning phase due to interventions. That is my fault, as I was so focused on the patient care and labs, I did not give care plans the study time I should have. The hospital is nice with private rooms. VS Equipment is in the room, sink just inside the room door, as well as hand gel. If you have prepared and are prepared, the CEs and CA can see it. They truly will help you as much as they are able to. Congratulations to Wendy for great CPNE success!!!! Good luck with a successful nursing career ahead!